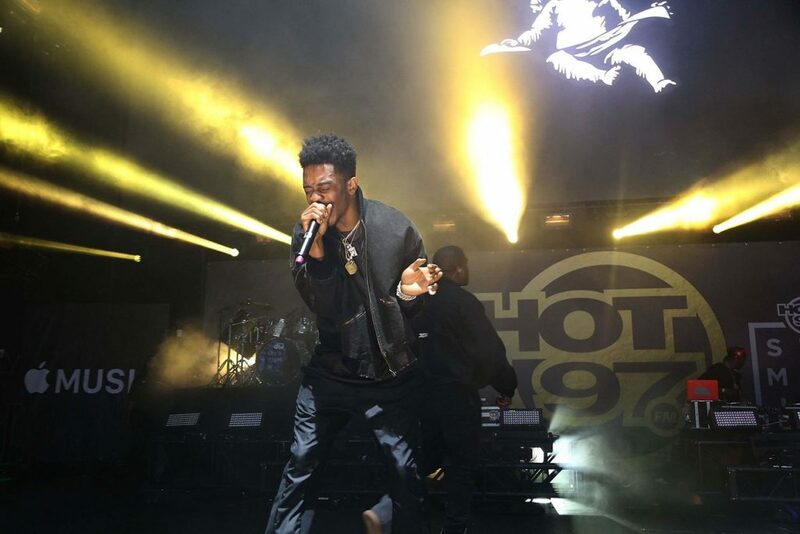 When “Panda” rapper Desiigner walked onto “Swim City”’s set recently, sheathed in a white tank top and black skinny jeans that belie his high fashion stage name, a few observations on the state of modern hip-hop struck me. For one, the biggest emerging acts of the genre are always in need of a hook, a shtick, an identifying marker that poises young MCs for viral success and distinguishes them from their equally ambitious peers. The missing eye of “Trap Queen”’s Fetty Wap, for example, is hard to unsee, while his bleating cadence burns itself into your brain. Or how about Rae Sremmurd’s knack for creating infectious rhymes that immediately become meme-worthy for the Tumblr age? 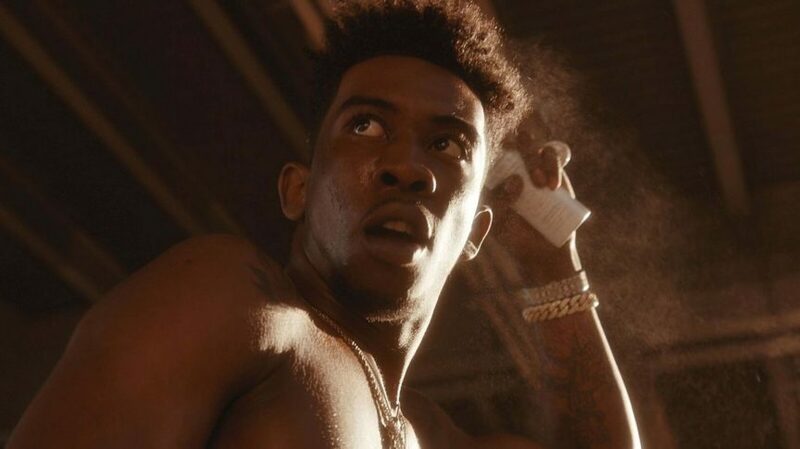 But when it comes to Desiigner, né Sidney Royel Selby III, the 19-year-old happens to have multiple draws that are bound to lend him staying power to outlive the one-hit-wonder label that skeptics have ascribed to his meteoric ascent. It doesn’t hurt, either, to have a lean, towering frame on which designer clothes happen to fit perfectly. 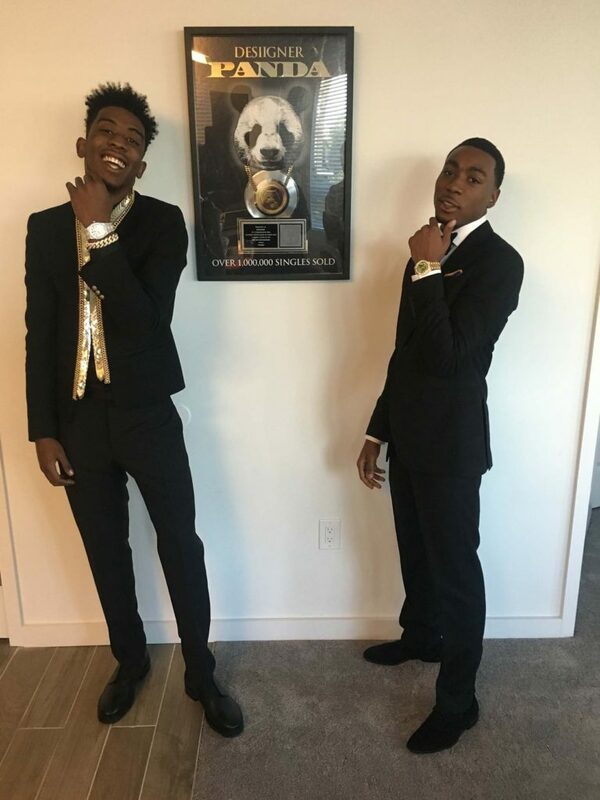 This is what you would call “staying on brand.” Like Wiz Khalifa or Travis Scott, Desiigner’s long torso easily lends itself to outré designs, like the Balmain gold embellished blazer he wore just the night before to his senior prom at Brooklyn’s Thomas Jefferson High School. “It was crazy, it was crazy,” he says, laughing in staccato. “I just went there to show some love to some of my fans and all of that. I danced and turned up at prom. You know how we do it, man.” He accented the jacket with a Prada button-up, Lanvin trousers, and a heap of custom bling from the likes of Nick Bhindi; it was clearly an elevated take on the standard rental tux. These days, working slowly but surely with the help of stylist Marcus Paul, Desiigner is crafting a sartorial lane for himself that feels instinctual and organic. “You can catch me in whatever’s funky, whatever’s got that swag. If it’s got that swag, I’m putting it on,” he explains. 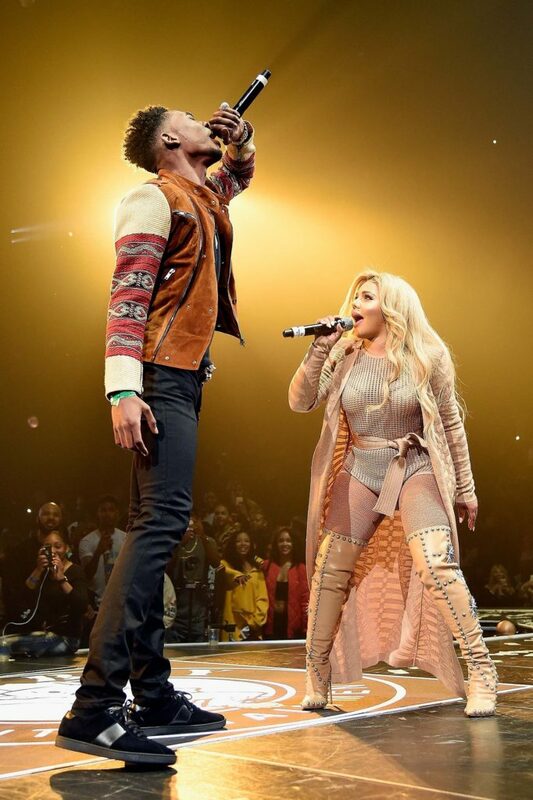 This would include a suede and geometric Ports 1961 moto jacket with Saint Laurent black sneakers for the Bad Boy Family Reunion concert last month, and all Yeezy, from the washed-out bomber to the 750s, for the Hot 97 Summer Jam last week. Naturally.